Description: It is a fast and compact application built to create Adobe PDF documents from a collection of images, typically scanned from a paper source or in form of digital photographs. 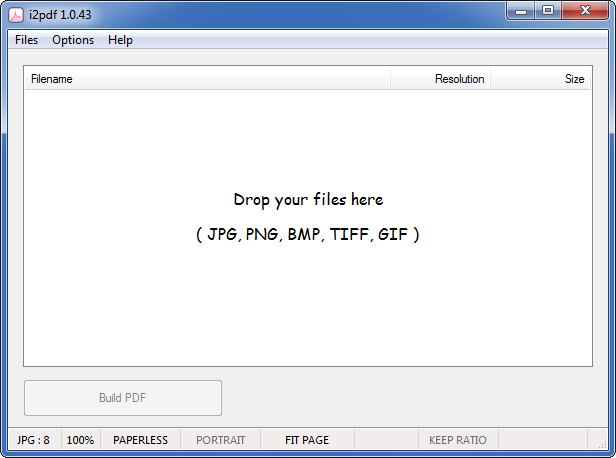 i2pdf allows control over the final quality and size of the images stored inside the PDF. Supports JPG, PNG, BMP, GIF, TIFF file formats.